Connectify Hotspot is available for Windows 10, Windows 8, and Windows 7 as well as Windows Server 2008 R2 and Server 2012. Give your Hotspot a Name (SSID) and Password. 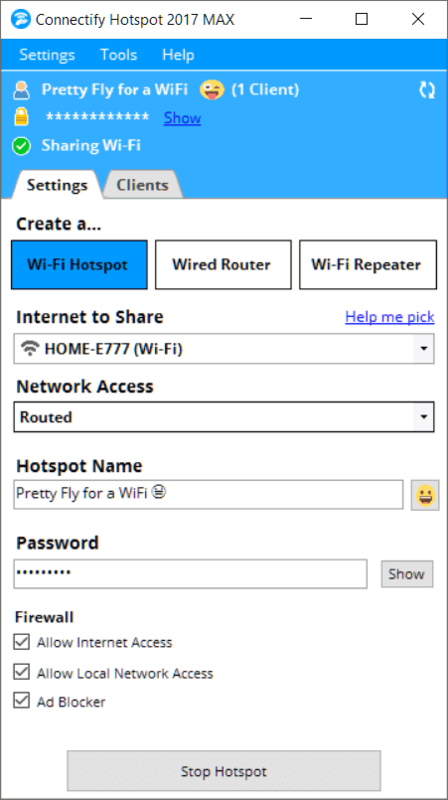 In the Connectify Hotspot 2017 you can even add Emojis and Special Characters to your Hotspot Name! Connect your devices. 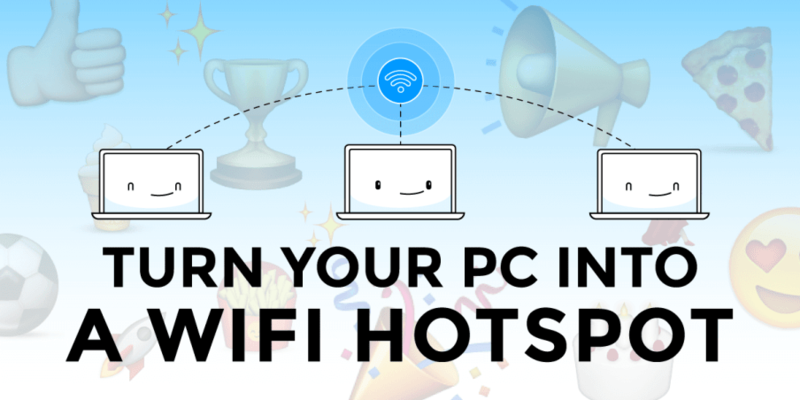 Any Wi-Fi enabled devices can connect to your Hotspot!